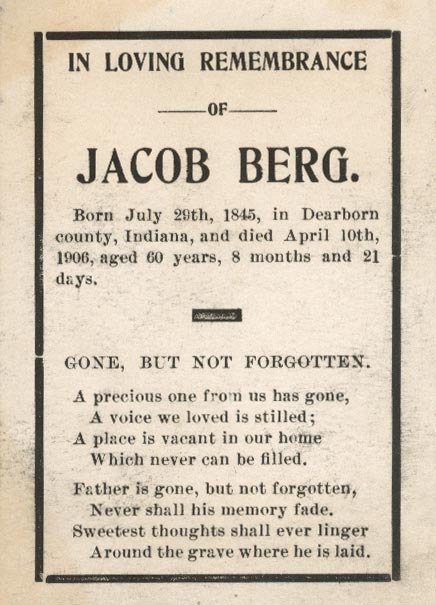 In Loving Remembrance of Jacob Berg. Born July 29th, 1845, in Dearborn county, Indiana, and died April 10th, 1906, aged 60 years, 8 months and 21 days. Are you looking for BERG ancestors? If so, we suggest posting a query to our Community Message Board to get assistance from other researchers.